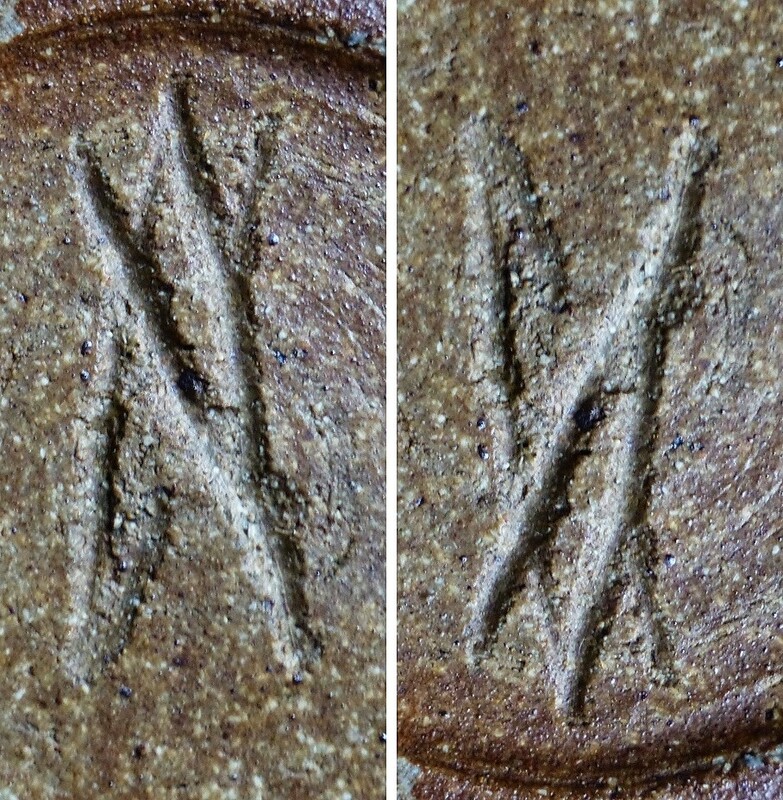 Hi all again - mark looks familiar - looks a bit like the Star Trek sign? Does anyone know the potter? Wilfrid Norton (1880-1973) was born in Shropshire. He was apprenticed with the Coalport Company at the age of 13 and subsequently became one of their designers. 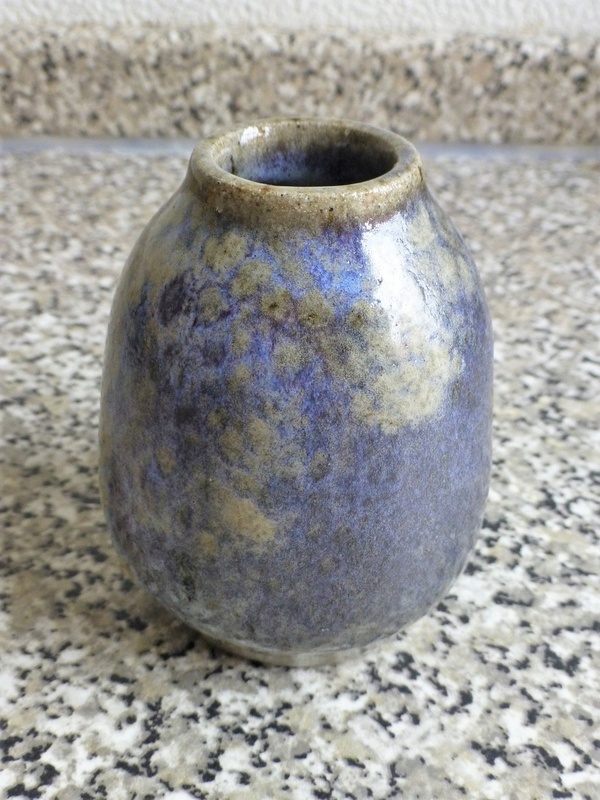 As a potter be was highly rated by Bernard Leach. His figurative works usually depicted classical, mythological or semi-religious subjects. All his pieces were unique and were often titled and monogrammed. 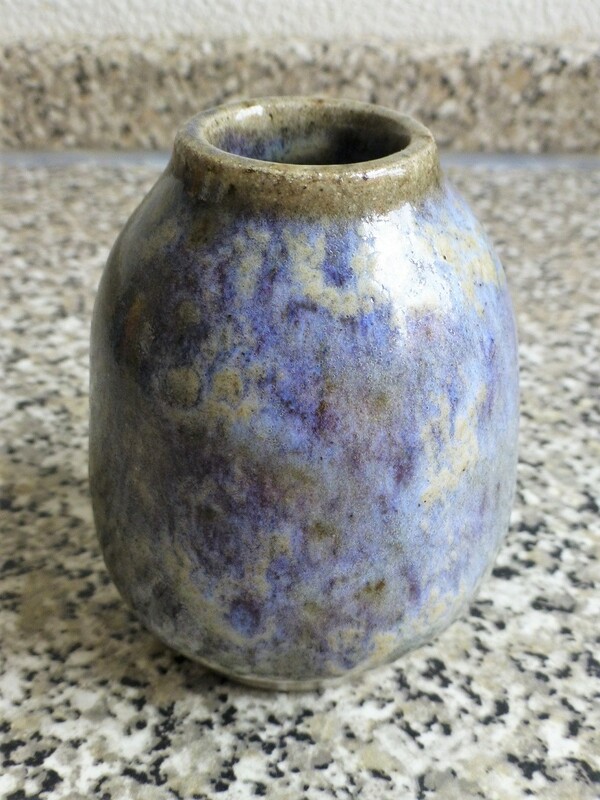 Another characteristic of his work was the use of matt glazes in muted colours. 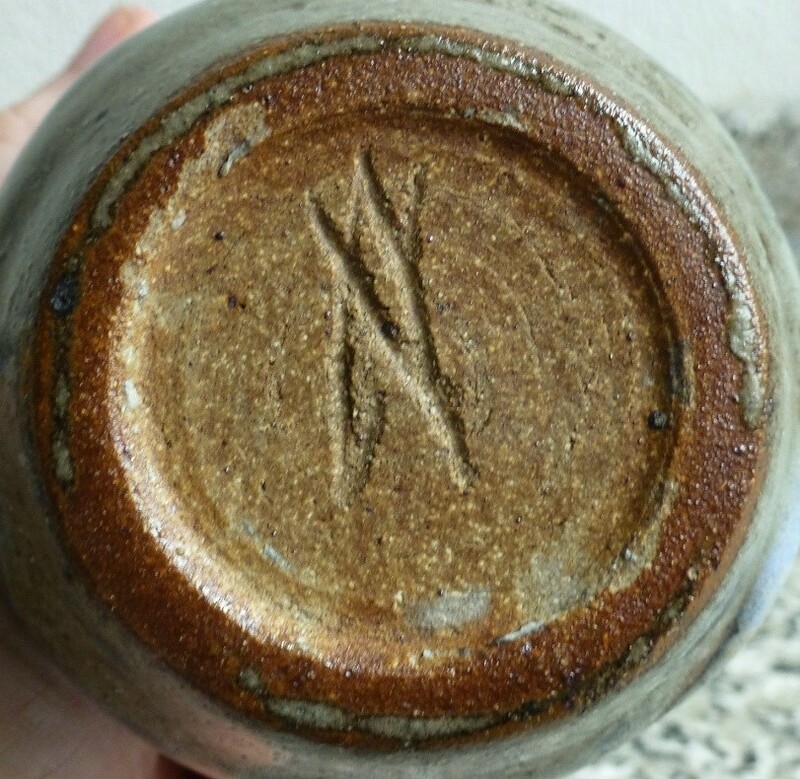 Incised mark to base. 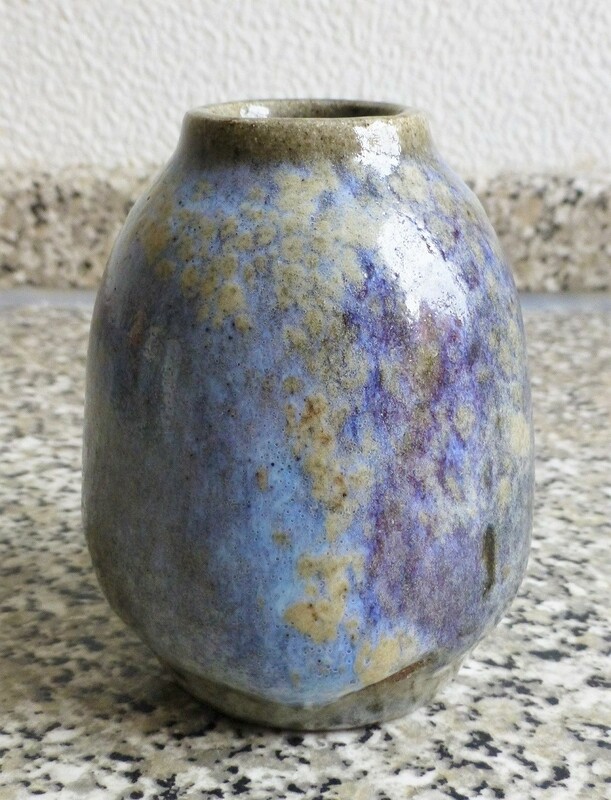 He also studied under Rudolph Steiner (Philosopher & teacher of the arts) in Switzerland and also headed the pottery department at Camberwell School of art He exhibited many times at the Royal College Of Art, The Royal Academy, The Arts & Crafts Society and many exhibitions in Paris, Leipzig and America. He is best known for the works produced in the 1920's and 30's but carried on until 1950 producing studio ceramics and other works including designs for stained glass.